Glass Baron Bear only $10! *** Please note: If you are one of our blog email subscribers, we’ve noticed that our photos haven’t been showing up within the blog notification email. If our images are not showing up for you, please check out our blog directly at: http://blog.jewelrywarehouse.com – We are sorry for the inconvenience until we can get this issue resolved. Thank you! A “Beary” Good Gift for your Valentine! 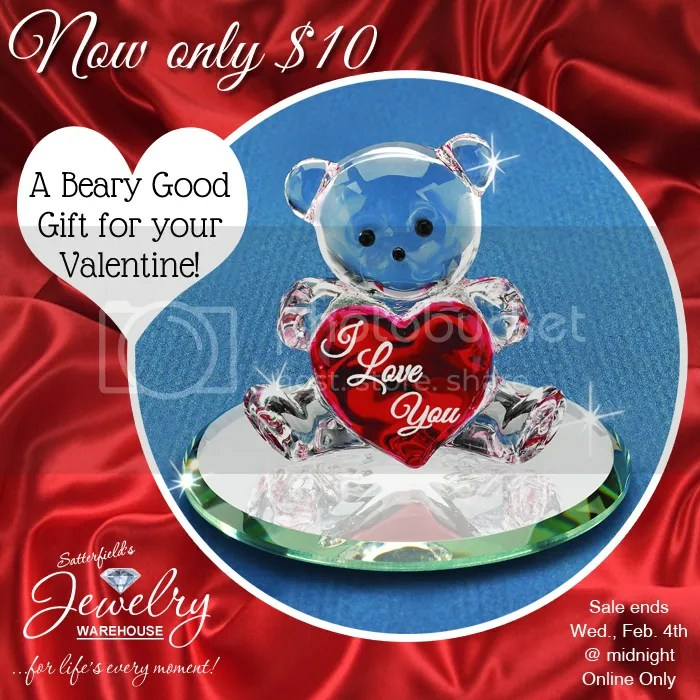 This adorable Glass Baron Bear is only $10! This offer is ONLINE ONLY and good through Wednesday, Feb. 4. Offer ends at midnight. Limited Quantities available! This entry was posted in Jewelry and tagged bear, flash sale, glass baron, sale. Bookmark the permalink.